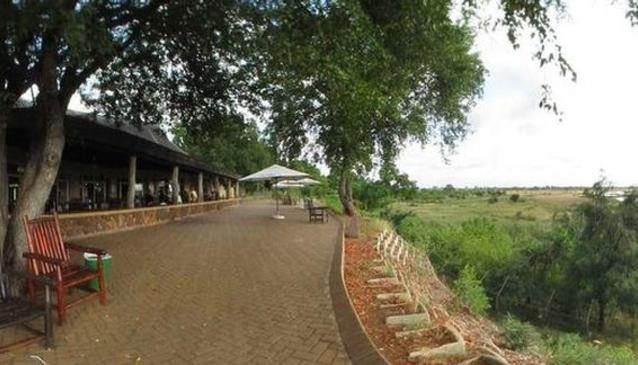 Letaba is a beautiful rest camp located on the spectacular Letaba river, ideally situated midway between the southern and northern boundaries of the Kruger Park. With semi-tame bushbuck gently grazing on the lush camp's lawns, and an abundance of bird life flitting between the many tree branches above, this camp is a truly unique and relaxing way in which to experience the park. The area surrounding the camp has gained a reputation as being particularly well populated with a wide selection of wildlife, with the sandy riverbed of the Letaba river serving as a superb backdrop for game viewing. It's not surprising, therefore, that this camp has built up a firm following from regular visitors to the park, and is often booked up well in advance during the peak periods. Many spectacular sightings have been recorded in the region, and sightings of the larger mammals area feature in and around Letaba. Common in the area: Elephant, buffalo, bushbuck and waterbuck, wildebeest, waterbuck and brown snake eagle. If you are lucky you may see: Lion and cheetah's which are also resident in the area. Letaba is one of the park's larger rest camps, and offers up a wide selection of accommodation options, including a camp site, five three-bed huts with communal ablution facilities and kitchens, twenty fixed safari tents, ten six-bed guest cottages, as well as eighty rondawels, which offer single-room bungalow style arrangements. Facilities: Laundromat, filling station, swimming pool, TV lounge. Wildlife activities: Guided bush walks, game drives, bush breakfast and bush braai, wildlife films. See Letaba facilities and outdoor activities. Mooiplaas is 40km/1hr 45min away, Masorini Picnic Site is 41km/1hr 45min away, and Olifants Camp is 32km/1hr 20min away. The closest gate is Phalaborwa 51km/2hr away.